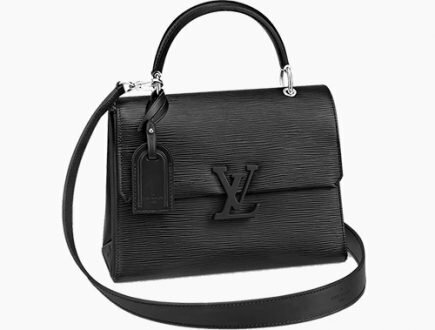 Until yesterday, there was only one size of the Trendy CC Flap Bag. 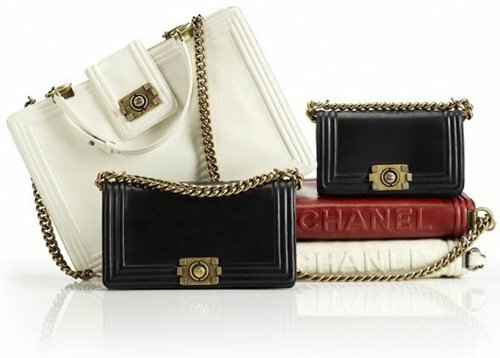 But that record has been changed since today, the Chanel Trendy CC Clutch With Chain is now the smallest. Even tough it’s categorized by Chanel as a Clutch Bag, the body and shape looks very similar to the medium version of the Trendy CC Bag, but then downsized. Of course, the interior must be remodeled in order to fit to the new measurements. Don’t we already have the Trendy CC WOC? Correct! But that’s another handbag. 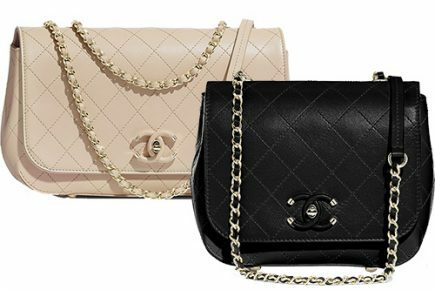 There are a lot of differences between the Trendy CC Clutch With Chain and the WOC. We will talk more about this later. The Trendy CC Clutch With Chain is famous because of the signature gold plate that’s crafted on the top. 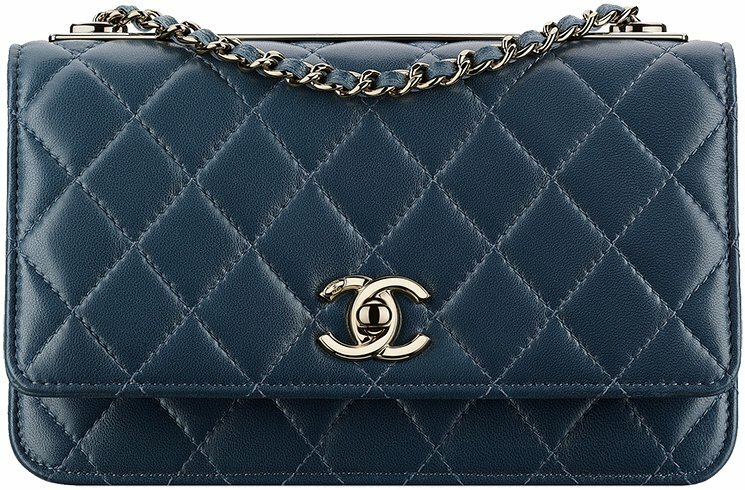 It features the house’s logo that reads: ‘Chanel’ in oversized lettering. The front is also designed with a flap, refined with the smooth CC logo. It also comes with the iconic woven chain leather strap. For the Fall Winter 2018 Collection Act 2, this bag is made from buttery soft lambskin. 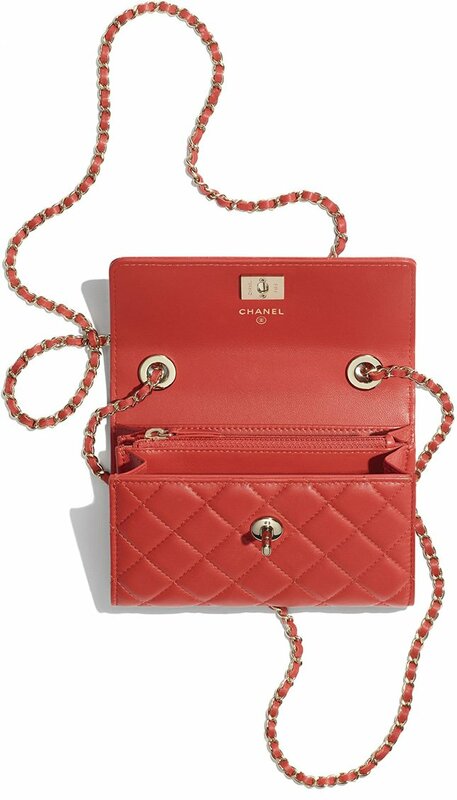 The Chanel Trendy CC Clutch With Chain does not differs from the Wallet On Chain style from the design. Both are crafted with the signature gold plate, both are diamond or chevron quilted and refined with the cc logo on the front. 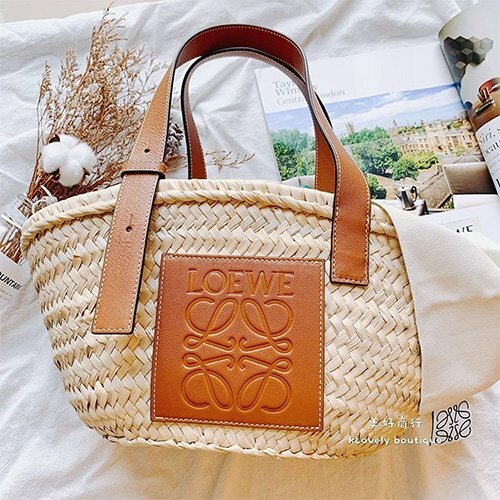 The main differences are the measurements and the interior. 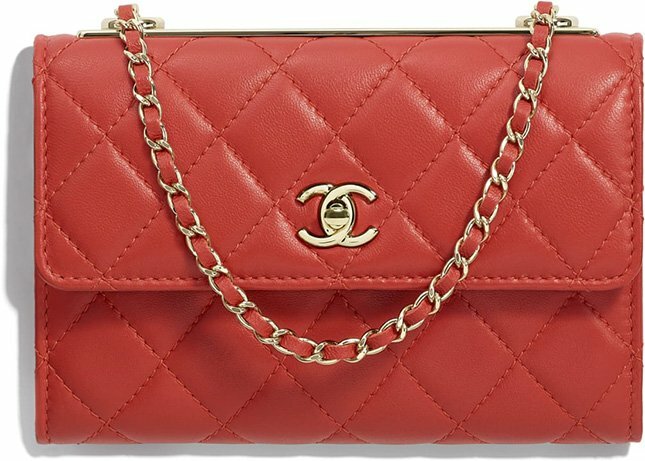 The Chanel Trendy CC Clutch With Chain is measured 4.1’ x 5.9’ x 1.4’ inches. 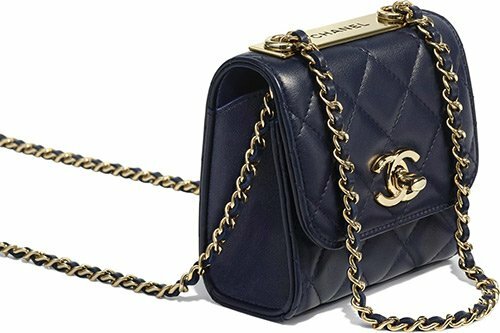 The Chanel Trendy CC Wallet On Chain Bag is measured 4.8’ x 7.6’ x 1.4’ inches. 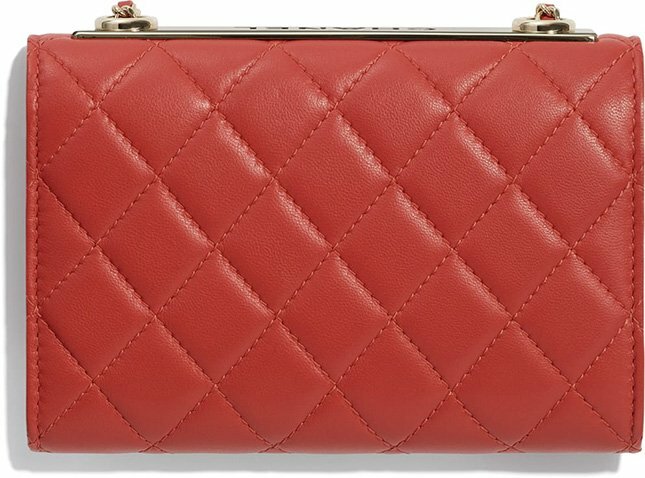 The Trendy CC Clutch With Chain is smaller in length and width comparing to the WOC. Both have the same width measurement. The interior of the Clutch With Chain is much simpler. 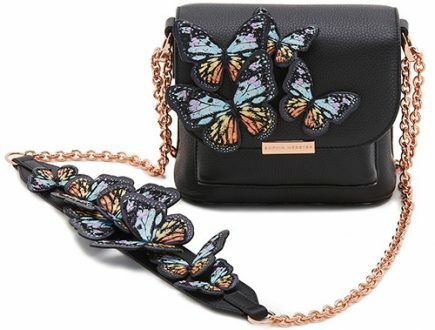 Just like the New Mini Classic Flap Bag, it’s crafted with 1 main compartment and 1 zip pocket. The Wallet On Chain is made from multiple patch pockets including card slots and a zip pocket. If you want to have a better look on the interior of the Wallet On Chain, then go here. Measuring 4.1’ x 5.9’ x 1.4’ inches, priced at $2400 USD, $2800 CAD, €1960 EUR, £1750 GBP, $3230 SGD, $17100 HKD, $3190 AUD, ¥268920 JPY, 8650 MYR, ₩2733000 WON via Chanel boutiques.